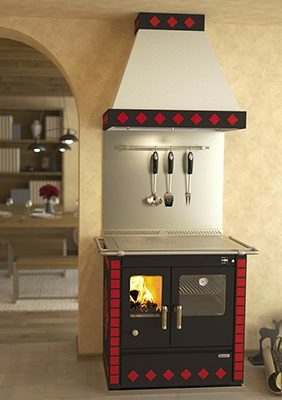 100% made in Italy, Rizzoli wood cookstoves offer all of the quality craftsmanship we’ve come to expect from the country’s other forays into wood heating and cooking. Rizzoli has a knack for creating stoves with a modern look, yet not so extravagant that they would feel out of place in any traditional home. These are refined cookers, highly functional, and put out heat just as well as they cook. The Rizzoli L90 and LT90 embody the traditional look of cookstoves, but add refinement and modern amenities that make them exceptionally functional for today’s cookstove user. 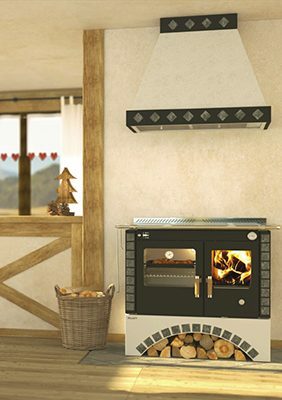 The L90 is a classic wood cookstove, decked out with features like removable cookplates, easy front-facing oven cleanout, a convenient handrail along the front and sides, and a built in oven thermometer. Features aside though, it’s Rizzoli’s exceptional construction that grabbed our attention with the L90. 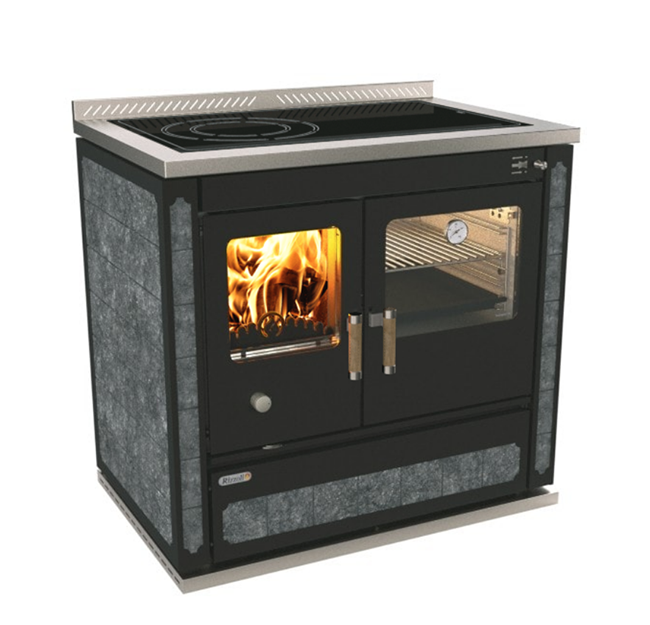 Offering secondary combustion, a truly spacious stainless steel oven, double ceramic glass, and much more, the L90 is a robust cookstove capable of meeting the needs of just about any cook. Rizzoli’s LT90 offers all of the same features as the L90, with one key difference: The LT90 is hydronic heating ready. By offering you the ability to connect with in-floor heat, wall radiators, or even baseboard heat, the LT90 can bring heat to your home in ways that most cookstoves cannot. 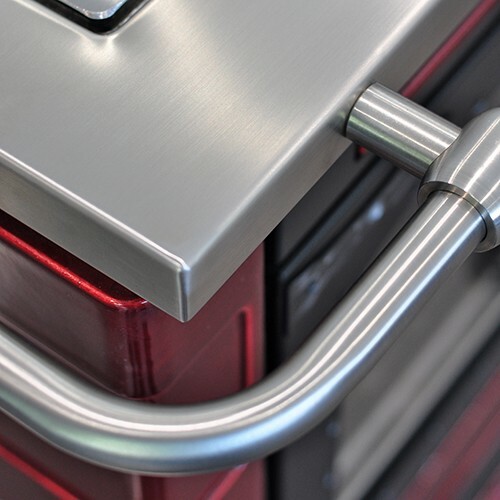 Hydronic heating is exceptionally popular in Europe, and we’re happy to be bringing this wonderful feature to North America. Honestly, can you imagine heating your floors on a cold winter day simply by building a fire? Sounds nice to us! Both the Rizzoli L90 and LT90 are available in white tile, burgundy tile, and soapstone. Why soapstone? As Obadiah’s showed you years ago with the Bun Baker, soapstone retains heat for hours after a fire is out, allowing you to get more heat with less wood. Weight 597-631 lbs. 597-631 lbs. 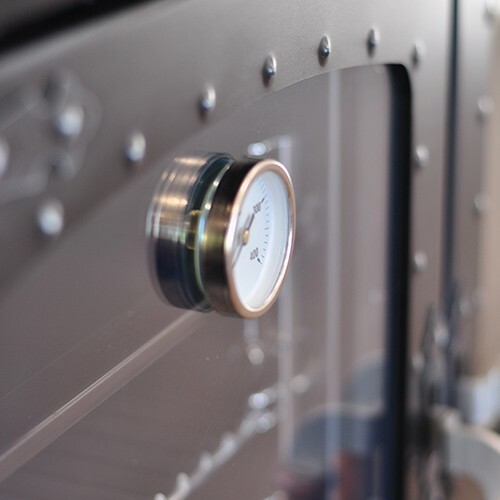 Obadiah's Sarah Chain reviews the Rizzoli L90, an Italian cookstove with a seriously refined look. 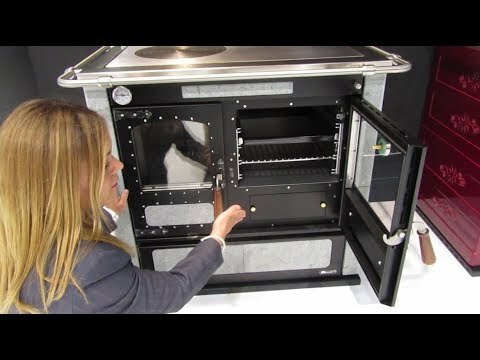 Obadiah's Sarah Chain takes a look at the Rizzoli LT90, a 100% Italian cookstove with soapstone lining. 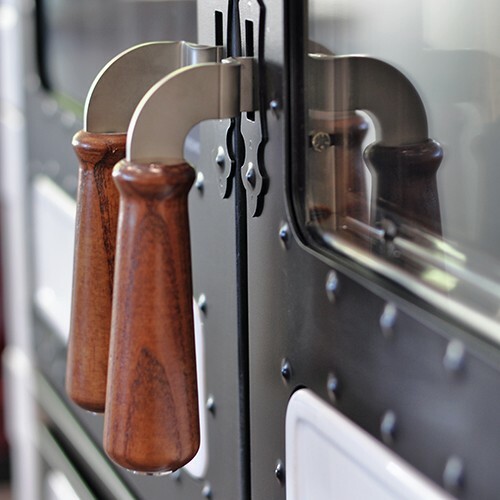 The Rizzoli L90 is expected to be UL/ULC approved in 2019, while the LT90 already is. 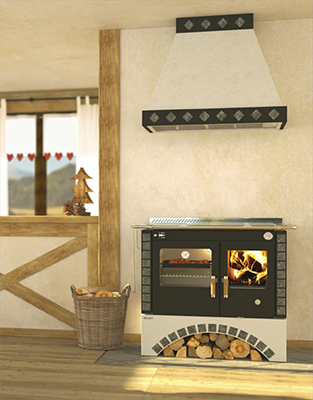 The S90 Story Vintage is an exquisite wood cookstove, combining the Victorian style with modern functionality, and it might just be one of the best looking cookstoves we have ever seen. 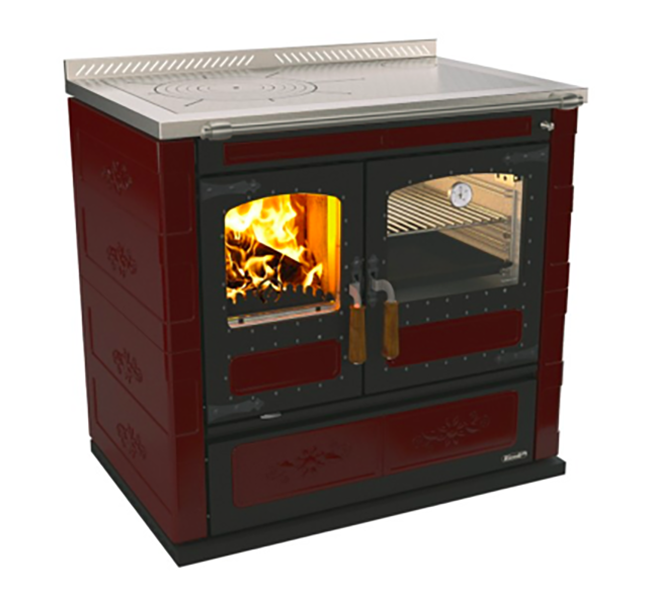 The Story Vintage also offers the option of solid or removable cooktop rings, or ceramic glass, along with the same features that Rizzoli has made standard in their other stoves such as secondary combustion, a stainless steel oven, built in thermometer, and more. 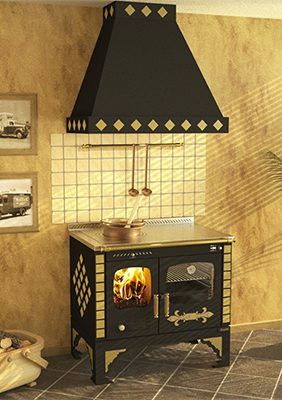 If you like the Rizzoli S90 Story Vintage but crave something a little more modern, the standard Rizzoli S90 wood cookstove is also a showstopper in the looks department. Offering the same features as the Story, the S90 is available in a multitude of gorgeous color schemes that will make it the centerpiece of any room. To really bring home the Italian style, though, the S90 Round Arch might be just what you need. 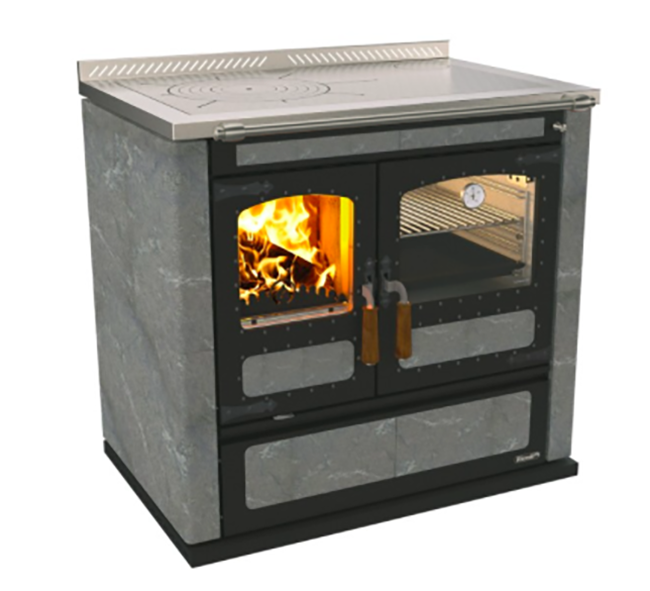 This model features an arched pedestal under the stove, allowing for easy and stylish storage of wood. The S90 Round Arch offers all the same features as the other S90s, but with a look that could lend your home that Italian Villa feel. Weight 551 lbs. 551 lbs. 551 lbs. 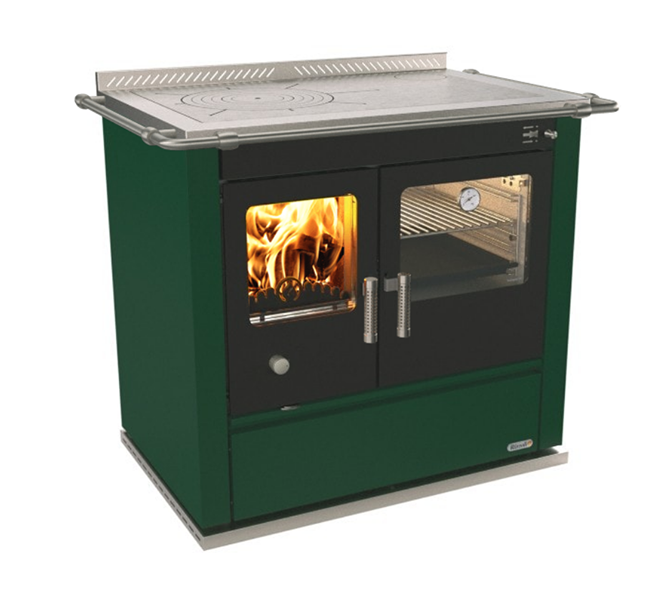 With the ML60 and ML80, Rizzoli has taken a step into the compact wood cookstove market. 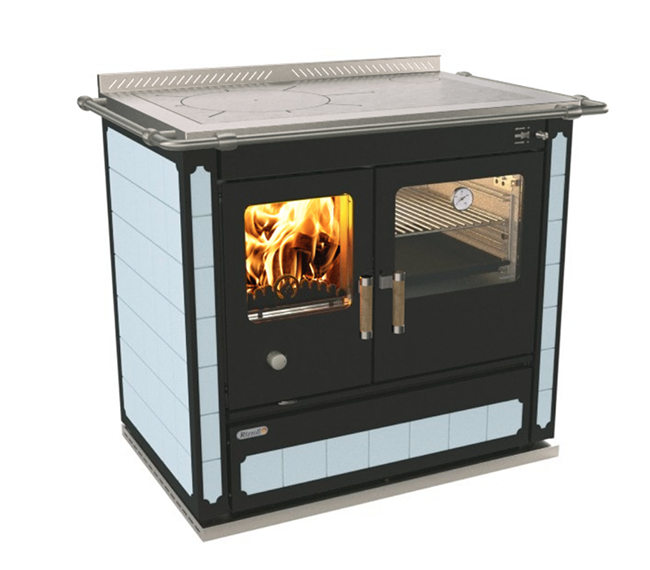 Small footprint stoves are a fantastic solution for tight living spaces, but it can be a challenge for manufacturers to produce something with any significant amount of heat output or an appropriately sized oven. 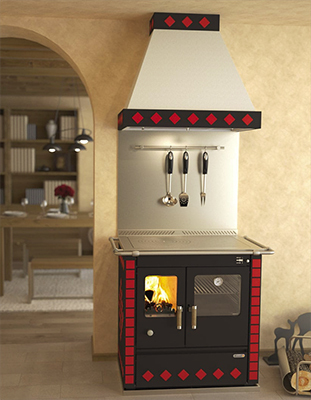 The Rizzoli ML60 Wood Cookstove is the right combination of compact and functional. 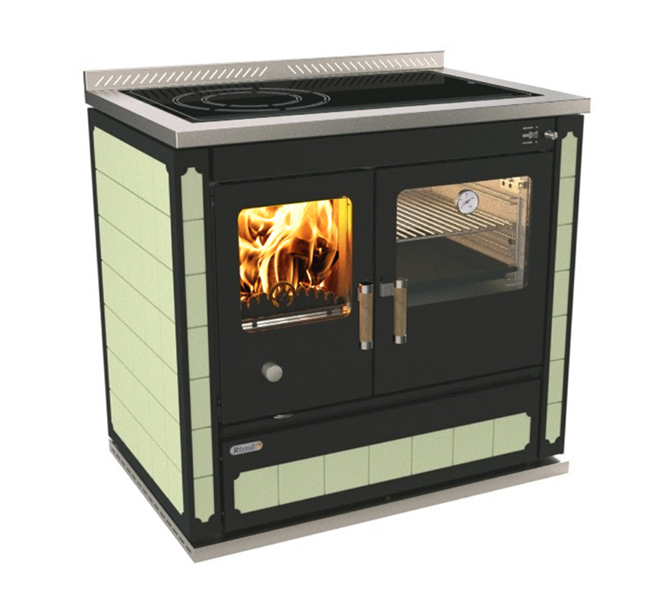 It offers a low clearance to combustibles, meaning it can be safely installed even in tight spaces, and sports a baking oven that doesn’t try to be anything more than it should. The 35,000 BTU output can be enhanced with soapstone, but ceramic tile and standard color panels are available as well. If you’re looking to do more than baking though, the Rizzoli ML80 has you covered. 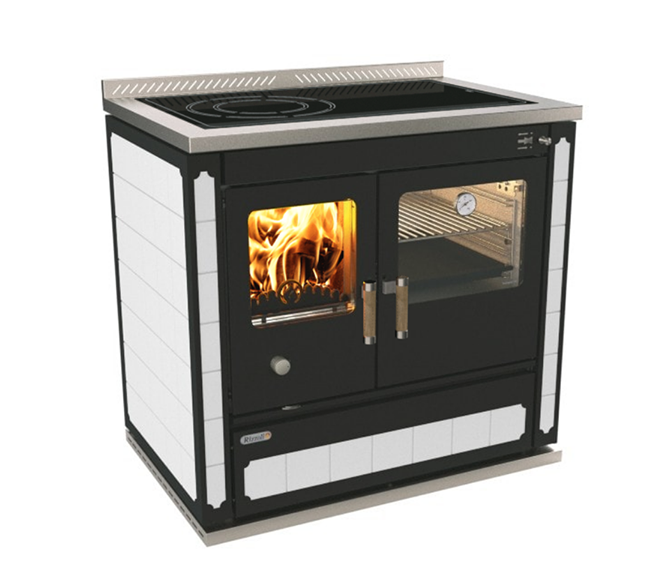 With a wider oven and firebox, the ML80 allows for more cooking options without compromising the compact style and low clearance to combustibles. Oven Size 1.5 cubic ft. 2.4 cubic ft. Weight 445.3 – 482.8 lbs 593 lbs. 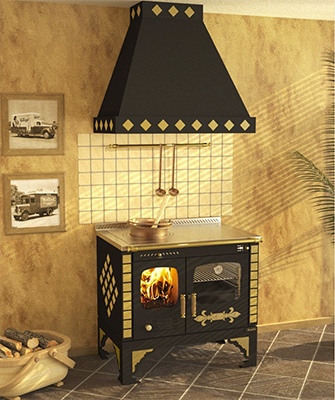 Rizzoli cookstoves and more can be found at Obadiah’s Woodstoves and Alternative Energy!